A car accident can be caused by many factors. Sometimes, car crashes are caused by negligent drivers who break the law. Washington car accident laws and codes allow an individual who has been injured in a car accident to hire an injury lawyer to represent him or her and begin an injury claim or lawsuit against the negligent parties or violators to recover damages. In this section, let’s take a look at Washington car accident laws and how it applies to car accident victims in this state. Some states have what is known as a “contributory negligence” system. What this means is that the injured person can recover for his or her injuries only if there was absolutely no fault on his or her part. In other words, he or she should not have contributed to the accident in any way. However, that system does not exist in Washington State. What we have here is a system of “comparative negligence.” This means that you will be compensated depending on what your contribution was to the accident. This essentially means that if you were 50 percent responsible for an accident, the damages awarded to you will simply be reduced to 50 percent. – While the person is under the combined influence of or affected by intoxicating liquor and any drug. (1) Right turns: Both the approach for a right turn and a right turn shall be made as close as practicable to the right-hand curb or edge of the roadway. (2) Left turns: The driver of a vehicle intending to turn left shall approach the turn in the extreme left-hand lane lawfully available to traffic moving in the direction of travel of the vehicle. Whenever practicable the left turn shall be made to the left of the center of the intersection and so as to leave the intersection or other location in the extreme left-hand lane lawfully available to traffic moving in the same direction as the vehicle on the roadway being entered. The driver of any vehicle, every bicyclist, and every pedestrian shall obey the instructions of any official traffic control device applicable thereto placed in accordance with the provisions of this chapter, unless otherwise directed by a traffic or police officer, subject to the exception granted the driver of an authorized emergency vehicle in this chapter. If you or a loved one has been injured by a negligent driver, please get in touch with an experienced Washington car accident lawyer, who will protect your legal rights. 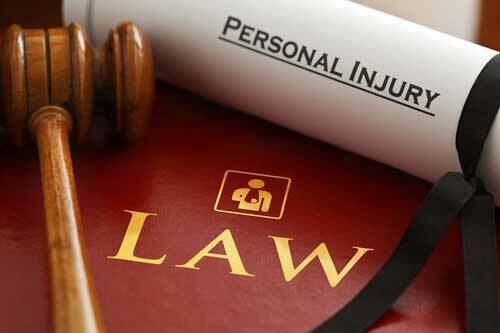 Contact the skilled injury attorneys at The Bernard Law Group to schedule your free consultation today.